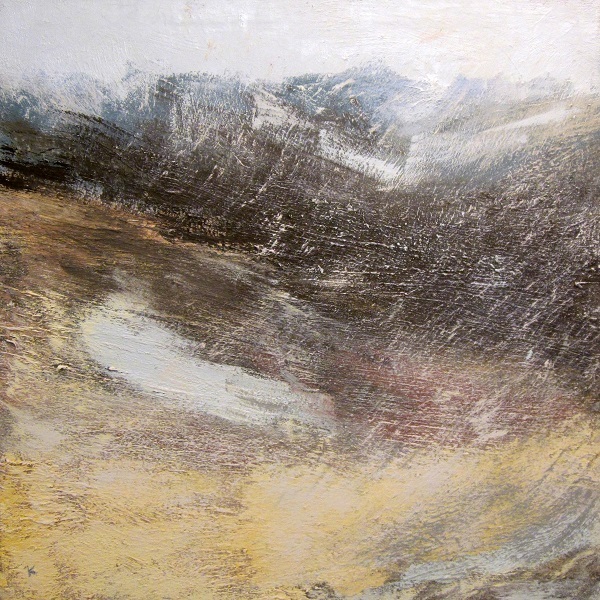 This is one of the paintings I created last year following our short walk along the undulating ridge of Ghlas Bheinn. A day of bright sunshine at times, but with heavy blustery snow showers that swept in and left a thin coating of snow on the grass. This painting is one of the new canvases on which I used thick oil paint put down in large sweeping marks. The painting is currently on display in my studio so do pop in sometime to see it if you live close by. If you have far to travel however, do check first (call 07742 437425)….. just to make sure I’m in. If the weather is good I may be out on another hill!